The Spoonflower Student Project Grant (formerly the Emerging Designer Grant) supports the artistic pursuits of a select group of full-time undergraduate and graduate students worldwide. 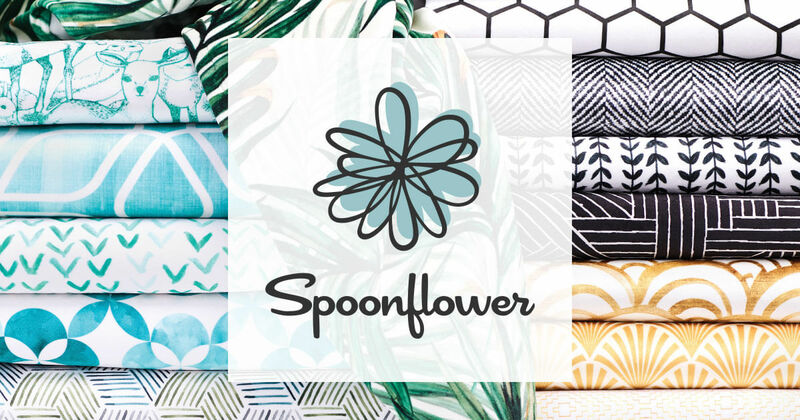 Recipients will receive an award of $1,000 in Spoonflower credit to design their own digitally printed fabrics and wallpaper. Possible students projects include, but are not limited to, art installations, fashion shows or interior design projects. Any undergraduate or graduate student currently enrolled in an art, textile, fashion or design program us eligible to apply. Grants requests will be awarded to up to 10 applicants per semester. The online application form will ask for proof of enrollment, PDF with three previous works, and contact information for your project adviser. The applicant must also answer narrative questions regarding their work and the project proposed. To view/complete the application, click here. Application Deadline for Spring semester: February 1st, 2019.